This week marks the four year anniversary of RxTrace. The first essay, published on July 4, 2009, said it all, “Welcome to rxTrace“. And almost four years later I found myself yelling at the California Board of Pharmacy with my most recent essay, “Hey California Board of Pharmacy: Your Time Is Running Out!“. In between there have been 177 other essays of varying topics and varying quality. Thanks for sticking with me. Readership has grown significantly over the last 1 1/2 years. I don’t make readership numbers public because they probably aren’t as big as one might imagine, but the growth has been incredible. RxTrace readers are people who are looking for information about pharma and medical device regulations and the technology solutions necessary to meet them. I call it, “a comprehensive exploration of the intersection between the pharmaceutical (and medical devices) supply chains, track & trace technology, standards and regulatory compliance”. That about sums it up, I think. Here is a graph of the monthly pageviews for RxTrace since December 2010 (click on the image to enlarge). For a complete list of RxTrace essays sorted by their popularity over the last 12 months, see “Full List Of RxTrace Essays Ranked By Year 4 Clicks“. I’ve included the date they were published and the number of comments on each one. A nice resource. I plan to continue writing RxTrace. In the coming year I hope to cover more topics in the areas of UDI, federal pedigree, FDA track & trace standards, GS1 Event-Based Traceability and other standards, pharma and medical devices serialization, California ePedigree, EU pharma track & trace, supply chain crimes, serialization regulations around the world, serialization technology, EPCIS, DPMS, Aggregation, Inference, Disaggregation, Decommissioning, 3PLs and other contract organizations, impact of serialization on chargebacks and other contract-related issues, and just maybe, RFID. I might even touch on the food and apparel supply chains as they compare with the pharma and medical devices supply chains. Who knows? Previous PostHey California Board of Pharmacy: Your Time Is Running Out!Next PostWill Generic Drug Manufacturers Serialize Their Drugs In Time? Dirk, thanks for initiating and sustaining a blog on Pharma Track and Trace. I am sure it will continue to guide a host of people in implementation, right up to extinguishing the pedigree. Yeoman’s service! Congratulations Dad! We’re so proud of you! Congratulations Dirk, always great essays and content. Congratulations on the fourth anniversary. The essays are something we look forward to beginning every week. Happy Anniversary!!! Great.work!!! You provide hints about what the Wizard might be doing behind the scene in the world of Oz (e-Pedigrees). Congrats Dirk. Always informative and sometimes entertaining reading. Congratulations Dirk! RxTrace has been an extremely useful source for awareness, education, and thought provoking essays. 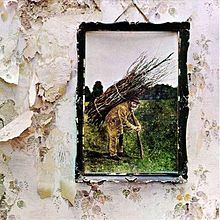 I like the “get the Led out” tribute with the Zeppelin IV album cover celebrating your 4 year anniversary as well.